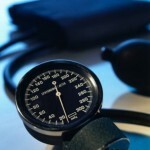 Post Rock Family Medicine » Do you have hypertension? High blood pressure affects about 50 million (one in four) American adults. Of those with hypertension, about 68 percent are aware of their condition, but only 27 percent have it under control. The reasons for this include not taking medicine as prescribed and/or not taking a medication that sufficiently lowers blood pressure. Hypertension can lead to stroke, heart failure, or kidney damage. To help prevent that, blood pressure must be lowered to less than 140/90. Normal blood pressure is less than 130/less than 85. Both medication adjustment and lifestyle changes can help lower blood pressure. The lifestyle changes to control high blood pressure are: lose weight, if overweight; become physically active; choose foods lower in salt and sodium; and limit alcohol intake. The DASH Eating Plan provides information about dietary changes to lower blood pressure. The NIH Guide to Lowering Blood Pressure is a comprehensive resource. You can find interactive websites to help you aim for healthy weight and lower blood pressure on our patient resource page. Plainville Medical Clinic provides blood pressure checks in the office during regular hours.